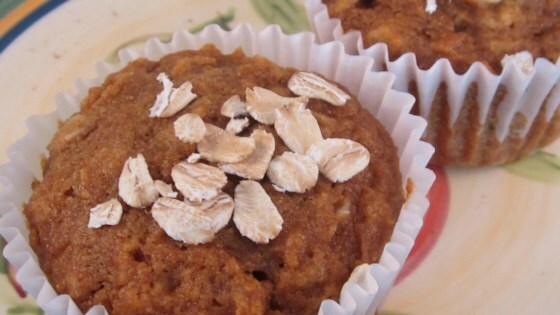 "Not super sweet, but just sweet enough, and you can barely discern the oats. Excellent as a side dish. Enjoy!" Whisk flour, oats, baking soda, and cinnamon together in a bowl. Mix sweet potatoes, oil, honey, carrots, eggs, and brown sugar together in a separate bowl; stir into flour mixture until batter is just combined. Spoon batter into the prepared muffin cups. Bake in the preheated oven until a toothpick inserted into the center of a muffin comes out clean, 15 to 20 minutes.